The Moose Jaw Art Guild, formed in 1949, was created out of the membership of the Moose Jaw Women's Art Association. Initially a women's guild, membership opened to men in 1951. The Guild has been holding exhibitions since its early years and has been involved in the local community through art classes and workshops, bursaries for high school students, and city projects including public murals. In 2012, the Guild hosted its first "Community Artists Development Day," a networking and educational event. 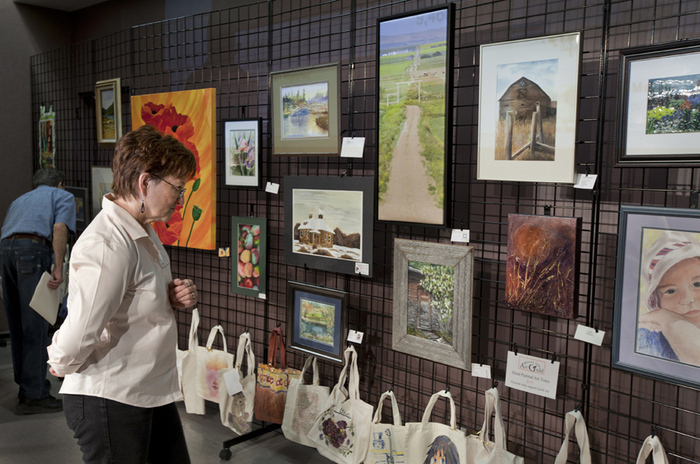 The Moose Jaw Art Guild holds two exhibitions annually and "Art Afternoons" every Friday. Its members work in a variety of media, including painting, drawing, glass, folk art, pottery, and textiles, among others. 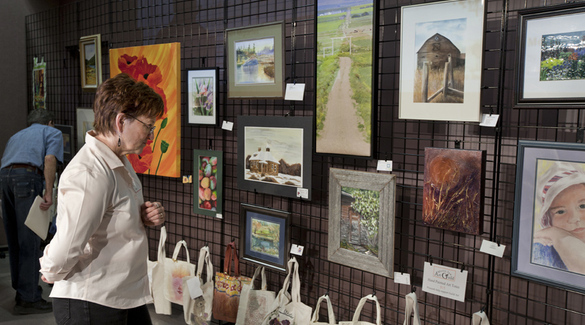 Learn more about the Moose Jaw Art Guild in NAC's feature article on Regina Art and Craft Guilds.